Emerald Boutique Hotel Ends 2016 With A Bang! | Fly Me To Mayon! Emerald Boutique Hotel Ends 2016 With A Bang! Emerald Boutique Hotel might just be a new “player” in Legazpi’s hotel industry but it is making waves, big waves, that have placed it firmly on the map in its first year of operation. The hotel is proof that newbies are not necessarily on a disadvantaged position. The opposite is true for Emerald. With many hotels rising all over the city in 2016, the hotel needs to prove itself to the influx of tourists in Albay. The strategy of Emerald Boutique Hotel is to offer a very competitive price point for its guests while making sure that their expectations are met, and exceeded. So what are the milestones of EBH in 2016? Emerald understands where the city is heading so it expected a sizable business growth. This anticipation pushed the hotel in a single minded pursuit – not just to promote the hotel on its own but the City of Legazpi, the Province of Albay. 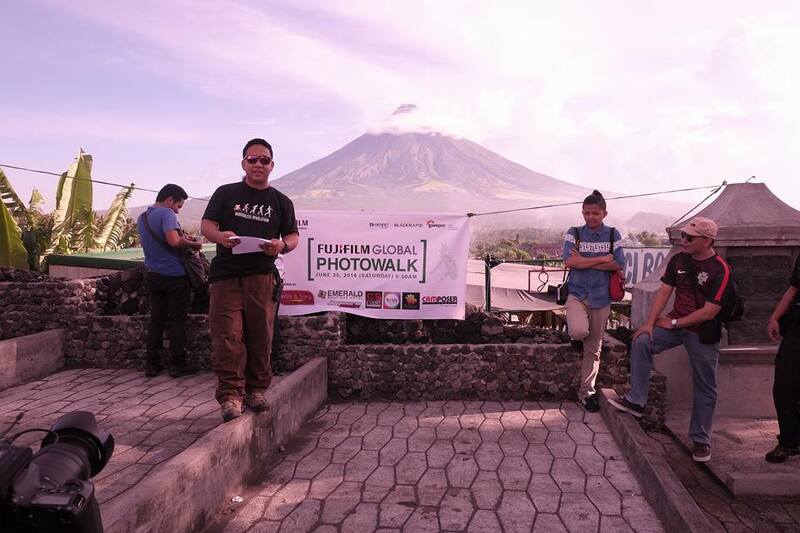 Zalrian Sayat of Images by Ryan facilitating the FujiFilm Global Photowalk – Legazpi leg. Emerald Boutique Hotel joins in this endeavor in its attempt to make Legazpi more known in the local and international tourism circle. 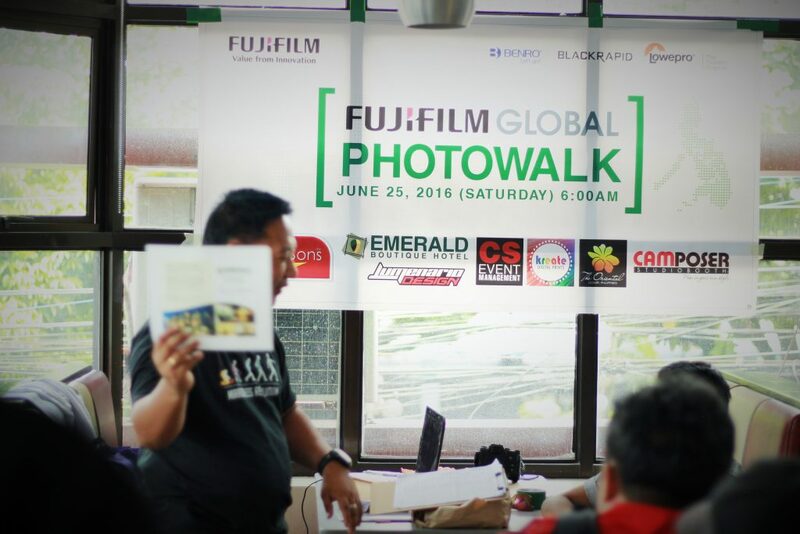 Its sponsorship of FujiFilm’s Global Photowalk last June 25, 2016 is proof of its goal to put Legazpi on the map, promoting its sights and sounds, culture, and the brand of Bicolano hospitality. Together with Photography giants FujiFilm, Benro, LowePro, and BlackRapid, and with local suppliers Kreate Digital Prints, Willy and Sons and CS Event, the photowalk was successfully rolled-out in the city, joining thousands of other photography enthusiasts and hobbyists all over the Philippines. Ryan Sayat of Images by Ryan presenting the Emerald Boutique Hotel Gift Certificate to the lucky winner. More than 50 photography enthusiasts participated in the event. Emerald understands that the sale-ability of its rooms is dependent on the attractiveness of Legazpi to local and foreign tourists. The hotel will keep this strategy and build its business from the success of its city. Emerald Boutique Hotel has hosted sports celebrities, local entertainment personalities, and successful music artists since it open its doors in early 2016. It has hosted the Petron Volleyball Team, Nyoy Volante, The DLSU Lady Spikers, Rafael Rosell, and many more. This is testament of the hotel’s go-get attitude when it comes to pleasing VIP’s. 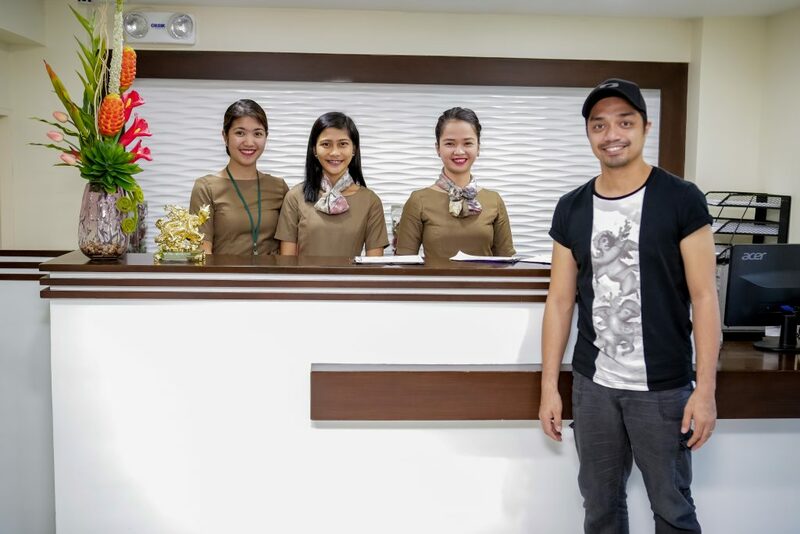 Nyoy Volante with the beautiful ladies of Emerald’s front desk. Nyoy stayed in the hotel for his one-night only intimate concert in Legazpi City. The smaller size of the hotel is not seen by events organizers as a liability but an advantage. The hotel’s premises are secure, the location is perfect, and the area is amazingly quiet, perhaps a semblance of privacy not many larger hotels can provide for. With the help of a bicol-based consultant, the hotel was able to build a robust, dynamic, and intelligent online presence that has quadrupled both the engagement and online Facebook-based inquiries of Emerald. It averages 2,000 direct Google searches and over 4,000 discovery searches. Its photos online are viewed 197% more than similar businesses in the city. This has helped the hotel rally its early business success. 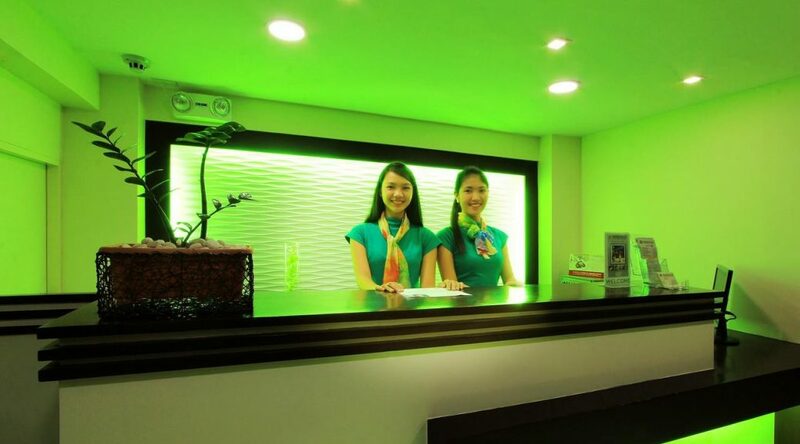 Emerald made it to top 3 in TripAdvisor’s list this month. This ranking is based on the weight of favorable reviews by a hotel’s guests on the said popular hotel directory platform. Emerald has built its brand around its “beyond expectations” tagline and the guests are responding in kind with many of them giving the hotel good reviews in Emerald’s Google Business Page, Facebook Page and in TripAdvisor. 2 months ago the hotel ranked 5th among the top 12 preferred hotels in the city. In the 2nd week of December it has placed 3rd among the 12 top hotels in Legazpi. For a hotel that has yet to celebrate its first year in the business, it is proving to be a rising star in the local hotel industry. The landing page of the Emerald Boutique Hotel website. It allows guests to book a room fast and easy while providing them with all the information they need about the hotel. Perhaps the crowning glory of Emerald’s online success is the launch of its website that allows guests all over the world to check on room availability, rates, amenities, and even related services. The website is proving to be a vital virtual platform for the hotel to catch the attention of local and foreign tourists. Stay with Emerald Boutique Hotel and know for sure why this small hotel is making a big impression among local and international tourists. Emerald Boutique Hotel is not yet done, and it will never be done in giving its guests more than they expected from a boutique hotel. The “small” spaces of the hotel will never match its big heart in giving the best service it can afford for its guests. 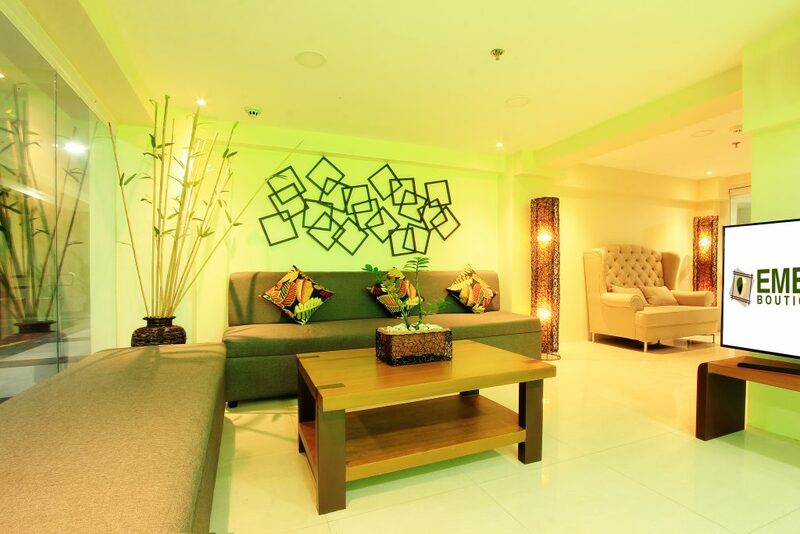 Come on over to Legazpi, Visit Albay, and stay at Emerald Boutique Hotel.